In Addition To Corn And Rice, The Most Important Carbohydrate Source For Tropical Nations Is? What Is The Only NASA Asset Named After A Living Person? 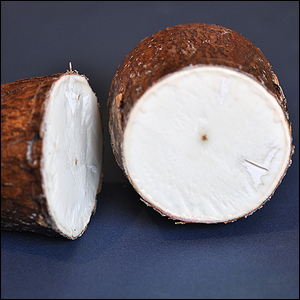 If you live outside of the tropics, there’s a good chance that you’ve never even heard of cassava. If you live in one of the many tropical nations that rely on it as a staple, however, it’s more than familiar—it’s probably woven into your daily diet. Global production of the starchy potato-like root is approximately 268 million tonnes per year with Nigeria, Thailand, Indonesia, Brazil, and the Democratic Republic of the Congo leading global production. The plant is a critical food source in developing nations because it can survive with little rainfall, grows in poor soil that would otherwise be unfit for more demanding crops, and has the third highest carbohydrate yield per cultivated area behind sugar cane and sugar beets. Further, it has a very wide harvesting window, which means farmers aren’t beholden to a strict planting and harvest schedule. This flexibility makes it particularly appealing as a tool for managing famines, because harvests can be staggered and managed. It’s prepared in a variety of ways such as simple preparation as a potato substitute, turning it into breads and cakes, frying it, boiling it in soups, using it as a fermentation source (much like potatoes are used to make vodka), and it is even used in a number of commercially available laundry products (especially as starch for shirts and other garments).